Autism spectrum disorder (ASD) is a neurodevelopmental disorder characterized by impairments in (a) social communication and (b) restricted and/or repetitive behaviors or interests that varies in severity of symptoms, age of onset, and association with other disorders. Although motor impairment is not a part of the diagnostic criteria for ASD, research suggests that many children with ASD experience delays in motor development. Gross motor skills are fundamental skills necessary for movement competence and considered the basic building blocks for more complex motor skill development. When present, gross motor problems may interfere with performance in many developmental and functional domains across home and school contexts. Consequently, researchers are increasingly considering the importance of motor function in the assessment and treatment of children with ASD. A study published in the Journal of Child and Adolescent Behavior focused on assessing the gross motor skill performance of 21 children with ASD (M=7.57 years) and 21 age matched typically developing children (M=7.38 years) using the Test of Gross Motor Development-2 (TGMD-2). The TGMD-2 is a norm and criterion-referenced test that measures performance of 12 gross motor skills. Scores are recorded on two subtests, locomotor subtest (run, gallop, hop, leap, jump, and slide) and object-control subtest (strike, dribble, catch, kick, throw, and roll), An overall gross motor quotient score (combination of all 12 gross motor skills) can also obtained. Scores are described as very superior, superior, above average, average, below average, poor, and very poor. The researchers hypothesized that children with ASD would show motor delays in overall gross motor quotient scores, and locomotor and object control standard scores when compared to their age matched typically developing peers as measured with TGMD-2. Statistical analysis revealed a significant performance difference between children with ASD and typically developing children on the TGMD-2. For the locomotor subtest, 67% children with ASD received poor standard scores and 40% of scores were very poor. 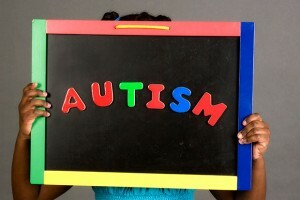 Approximately 60% children with ASD had poor standard scores and 33% of scores were very poor on object control skills. 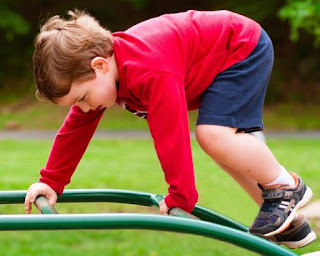 For overall gross motor quotient scores, 81% children with ASD were below 79 and classified as poor, and approximately 76% children scored below 70 and received very poor ratings. Children scoring at or below the 30th percentile were considered developmentally delayed as indicated in the Individuals with Disabilities Education Act (IDEA). Based on this criterion, 91% of children with ASD in the current study were considered developmentally delayed in terms of their gross motor skill performance and in need of early supportive interventions. In contrast, the majority of typically developing children’s standard scores (96%) fell in the average or higher range. 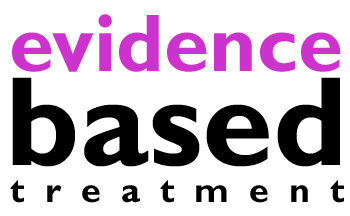 According to the authors, the results of this study have several important implications for educators, therapists, and practitioners and the design of effective early intervention programs for children with ASD. For example, locomotion and object control skills are fundamental motor skills in which children interact with their environment and other children. Developing a therapeutic intervention that includes these gross motor skills may have a positive effect on children’s cognitive functioning, language development, social communicative skills, and contribute positively to daily life skills. Consequently, it is vital that we understand the gross motor performance of children with ASD. Finally, the significance of motor proficiency for children with ASD should not be overlooked in assessment practice. Clinicians and practitioners should give increased attention to the assessment of motor skills and their impact on the adaptive behavior and well-being of children with ASD. A comprehensive discussion of assessment domains (e.g. communication, social, motor, sensory, academic) can be found in A Best Practice Guide to Assessment and Intervention for Autism Spectrum Disorder in Schools (2nd Edition). Recommendations for state and federal policy changes are discussed. For example, the researchers suggest that the publication of DSM-5 provides SEAs with the opportunity to expand and update their current definition of autism. They note that the DSM-5 criteria for autism spectrum disorder (ASD) encompass all of the elements stated by the current IDEA definition. The DSM-5 also recognizes the salience of sensory processing problems and co-occurring (comorbid) disorders (e.g., ADHD). The study recommends that SEAs consider the DSM-5 criteria for ASD as they consider revisions to their state definition of autism and corresponding procedures by which assessors will provide data for eligibility determination. Likewise, IDEA-2004 is overdue for Congressional reconsideration and possible amendment, so there is an opportunity to also update and clarify the federal educational definition of autism. Improved, more specific definitions and evaluation procedures will enable SEAs and school districts to better serve students with autism and more efficently allocate resources.